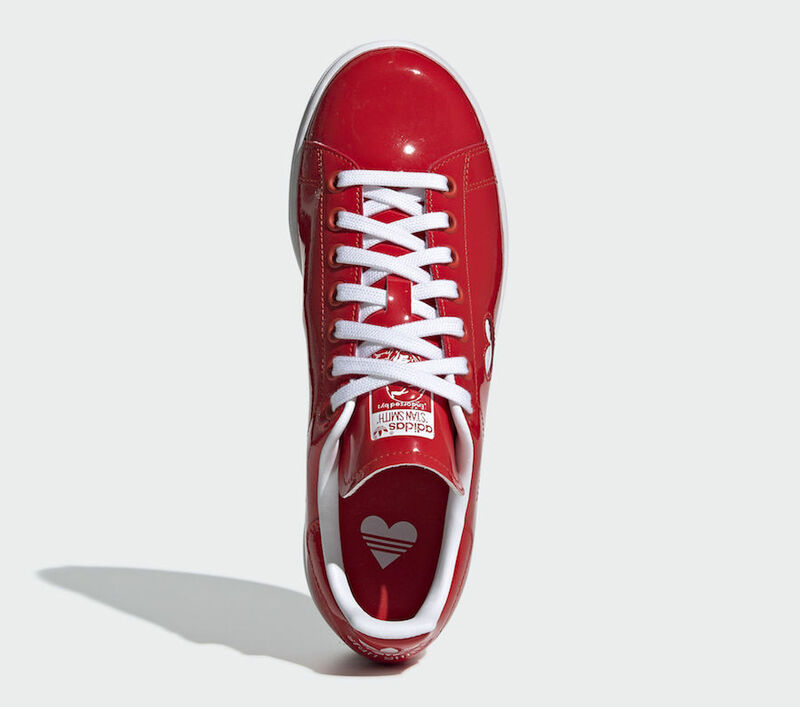 adidas Originals is celebrating love with a special edition of the Stan Smith silhouette. Following the “White” pair, the Three Strips has also released a “Active Red” iteration. This version of the classic court shoes is made of glossy patent leather. 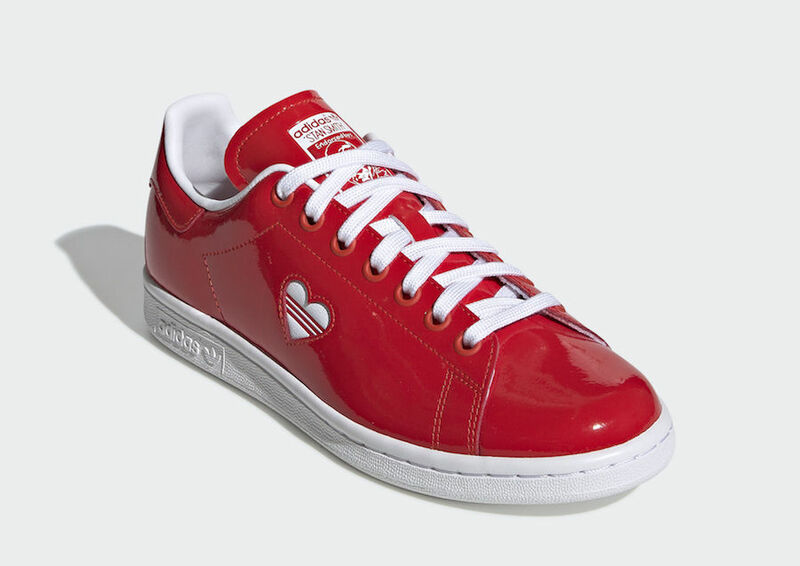 Instead of the perforated Three Stripes, it has a heart-shaped cutout on the side. A solid White rubber sole completes the design. You can now find this Valentine’s Day edition of the Stan Smith available in women’s sizing at select retailers and adidas.com.. The retail price tag is set at $100 USD.